Sukhdi or Golpapdi is very healthy and delicious Gujarati sweet recipe. 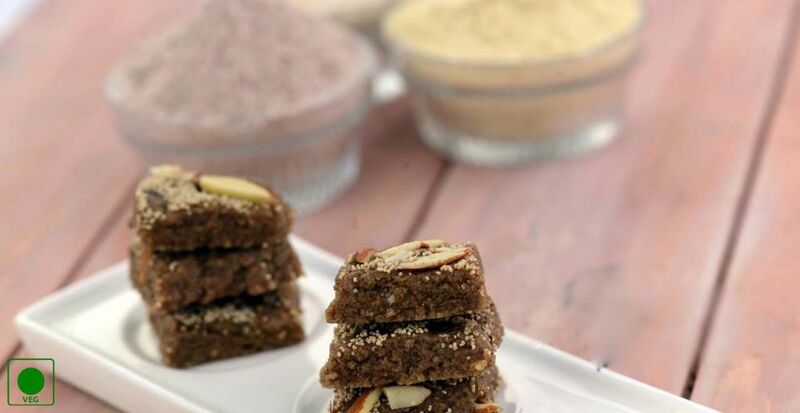 Sukhdi is made from wheat flour, ghee and jaggery which is healthier in the cold winter season. Sukhdi is quick and easy to make anytime you want. Let’s learn how to quickly make sukhdi or golpapdi. 1. Take a non-stick pan and heat the ghee, add wheat flour and saute on a MEDIUM flame for 15 minutes or till it turns golden brown. Keep stirring continuously. 2. Remove the pan from the heat and add jaggery, cardamom powder to it and mix it well. 3. Let the jaggery melt completely. Meanwhile take a thali and grease it with the ghee. 4. Now, pour the mixture into the tray and with the help of flat spoon spread it properly. Let it cool. 5. Once the mixture is cool and set, cut into square pieces and serve it. You can also store it in an air-tight container.